Yeah thats right REAL GLASS SLIPPERS. Just visit designeraddicteds etsy shop! 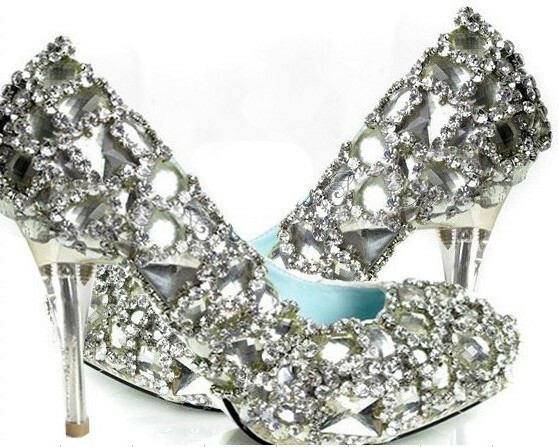 Is it sad Id want to wear these even if it wasnt my wedding- I swear I'm a magpie OOH Shiny. So this is the first installment of ETSY SHOP MONDAYS. Every Monday Ill be sharing one of my favorite things on etsy. So excited to show you some of my favs!